On floors and coverings in Porcelain stoneware (smoothed/polished/lapped), glazed ceramic, synthetic agglomerates and other micro-porous materials. For the protection against stains and the accumulation of the dirt into the micro-porosity of compact materials. 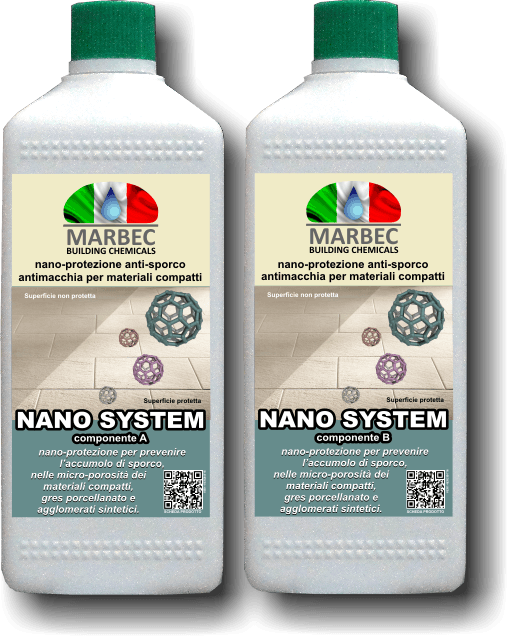 NANO-SYSTEM is a system of protection’s products that consists of two products A+B that have to be applied at a distance of 24 hours from each other. The protection (or NANO-PROTECTION) made on the material is permanent, thanks to its chemical/physical resistance in time. 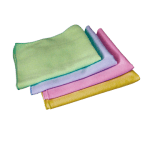 – High resistance to wear and washes. – It makes easier the periodical maintenance of treated surfaces.